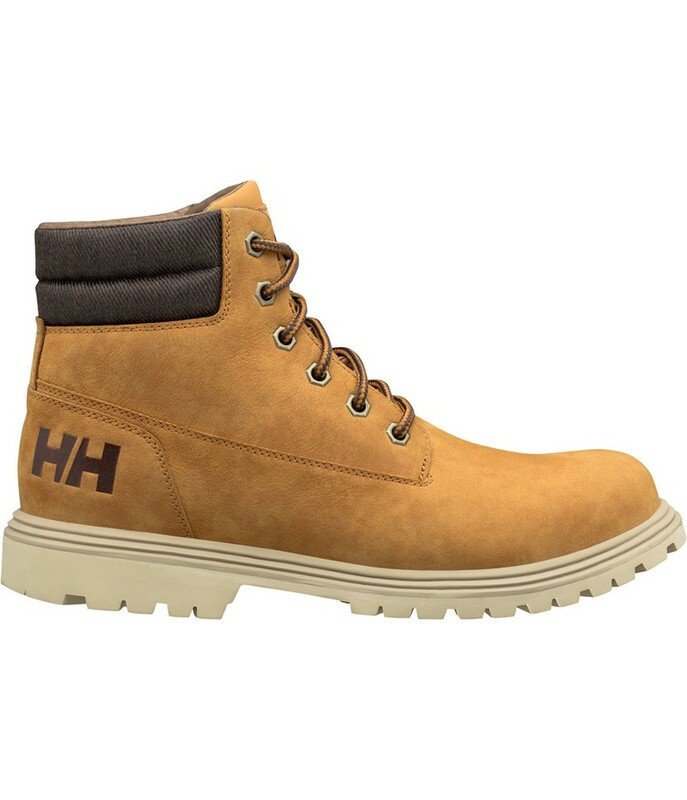 Helly Hansen Fremont Aprés Shoes-Honey Wheat are Nubuck leather with a high-cut style with a textile collar which is perfect as a everyday, casual shoe for the winter season. Once the cold weather sets in this shoe really comings into it’s element keeping your tootsies warm and dry. The shoe’s upper is made from Nubuck Premium quality leather, treated with Helly Hansen’s Water Repellancy and in-bulit water repellant mesh to keep the moisture at bay. The midsole is consisted of a protective rubber cupsole combined with Helly Hansen’s HellyGrip rubber outer sole for extra traction. Add option of the Eva Removable footbed for extra comfort and support under foot. So if you are looking for a winterized, casual shoe that looks and feels good? Then this is the shoe for you!